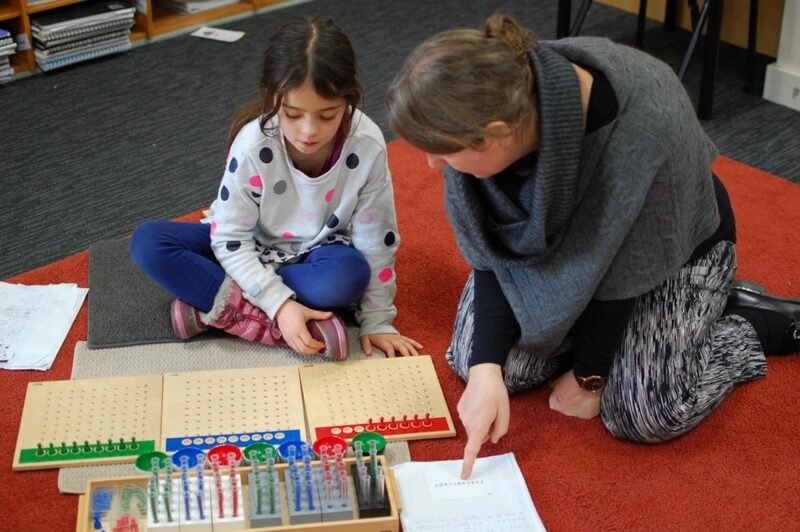 In a Montessori classroom the place of the traditional teacher is held by a fully trained Montessori director or directress. Montessori directors have a teaching qualification as well as an additional Montessori teacher education diploma. The director is a guide or facilitator whose task it is to support the young child in his or her process of self- development. The director is foremost an observer, unobtrusively yet carefully monitoring each child’s development, recognising and interpreting each child’s needs, allowing them to develop self confidence and inner discipline. important attribute of a director is the love and respect they hold for each child’s total being. Acknowledge staff as one of the key ingredients in the provision of excellent education. Employ staff that are respectful, ethical and support Montessori philosophy. Recruit and retain teachers, assistants and ancillary staff of the highest calibre. Provide a professional and supportive workplace which encourages staff to grow personally and professionally. Provide staffing arrangements that enhance children’s learning.